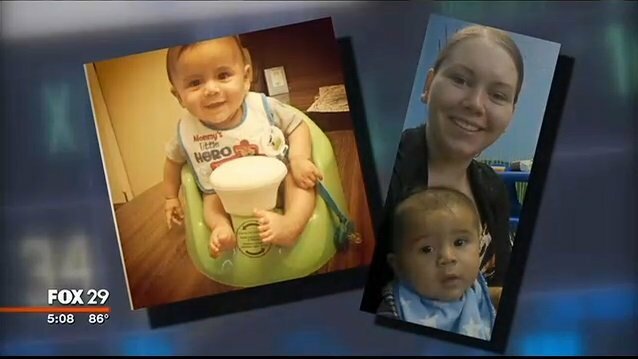 A Pennsylvania mother now reportedly has the backing of a couple of world-renowned medical experts who say that the evidence supports her story that there is a medical reason for her baby boy's injuries, and that she did not abuse her son. Local media, including FOX 29 in Philadelphia, is now picking up Jessica Battiato's story, which was first reported by MedicalKidnap.com. we have the same case going on right now in texas . we have the same doctors that say my grandson has rickets metabolic bone disease and yet cps still has the baby. the courts state these doctors didnt examine the child and do not know what they are talking about. we have a long battle its been going on for 14 months now and getting worse . we want our grandson we did all they asked to get our family with us and now they still keep him. very sick world we live in when they get away with legal kidnapping and perjury , they have disrupted or hole family and made us very depressed and yet get away with it. someone needs to step up and start looking into cps casa and courts systems. for this is so wrong . I hope her child is returned and this doctor is sued, even losing her license. The doctor neglected the child and the mother by not ruling out all tests. Ignorance is never an excuse they say. The doctor should eat those words. What ever happened to the presumption of innocence and the right to a jury trial? Oh yea... in the land of the free you get neither if the state decides to kidnap your child.... AND THIS WAS CLEARLY A KIDNAPPING... BECAUSE THERE WAS NO DUE PROCESS. YET NO ONE IS CRIMINALLY CHARGED! It was proven by a doctor where those bruises came from. So quit holding her child and give that baby back. I want my grandson also. I have a clean record and approved by the state I should have my grandson so I should have my grandson also. Family belong with family if it deems posssible. The social worker was tremendously upset cause I wasn't granted my grandchild. The GAL attorney was a foster child and my grandson would be better off with foster family according to him. Crazy messed up system we have for the almighty dollar. God save our children and grandchildren.